Cheilanthes alabamensis in the Schwartz garden. Photo by David Schwartz. one-half of the frond length. Blades are matte green, broadly triangular with extended lower inner pinnae pinnules giving a pentagonal effect. 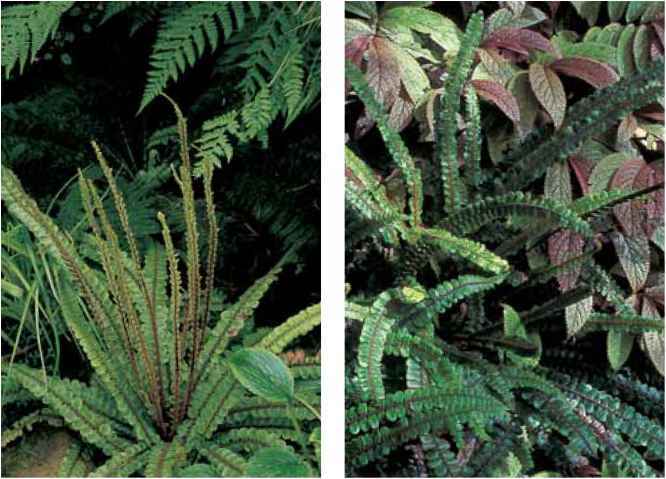 The lower surface is coated with a white wax that is especially prominent when the frond curls in drought or stress. Sori are marginal and covered with an inrolled false indusium. When the spores are ripe, they give a black etch to the frond. 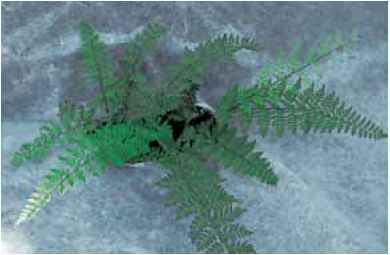 range and habitat: Cheilanthes argentea is widely distributed in limestone habitats in eastern Asia including Japan and China. A rock wall population adjacent to a hotel in Beijing, where just incidentally, a 1988 pteridophyte conference was headquartered, delighted the participants (and their cameras). culture and comments: This irresistible species is difficult in cultivation but has been distributed to the trade and successfully maintained in gritty, limey mortar with good drainage, bright light, and a minimum of winter wet. New growth emerges in late winter.